Sisterhood is an amazingly powerful thing: The truth is that our siblings are the ones who know us best, can relate to us the most, and understand what we’re going through at any impasse. They will be there for us through thick and thin, to joke with us, prod us, support us, sustain us, nurture us, and guide us through this adventure called life. Lindsay White’s “Surrogate” is a loving ode to her sister, an impassioned outpouring of warmth and vulnerability that captures the beauty and uniqueness of sibling relationships. Atwood Magazine is proud to be premiering the music video for “Surrogate,” the latest single off Lindsay White’s upcoming sophomore album Lights Out (independently out July 14, 2017). The San Diego-based singer/songwriter paints a fragile, harrowingly intimate picture of her love for, and relationship with her sister on “Surrogate,” singing softly through plaintive guitar chords and bittersweet piano melodies. “Many songs on this record come from a place of deep loss and struggle,” reflects Lindsay White, who considers her new album a cannonball dive into trauma infested waters. Her music comes from a particularly dark time in her life: She lost her mother and grandfather, divorced her husband and came out as gay, helped her bandmate through two manic episodes, remarried a woman, and much more. The former member of lesbian folk/pop duo The Lovebirds writes in an enigmatically personal fashion, giving her fullest and truest self on “Surrogate” as she tells a story only she and her sister truly know. The music video for “Surrogate” features a host of home video clips of sisters playing, laughing, and sharing smiles. “When I first wrote the song, there was a positive response from friends and fans who share special bonds with their sisters, so I wanted to reflect that in the music video. We launched a social media campaign requesting footage from sisters, and this video is the result!” White’s video turns her intimate ode into a provocative and universally relatable piece about having one another’s back, and being there for the ones we love when they need us the most. Now is probably the time to call your sibling, your parents, your best friend – whoever has been there for you – and tell them you love them; thank you. There are few things more precious in this world than fully dedicating a song to another person, and “Surrogate” is an utterly irresistible song built from the deepest possible connection. 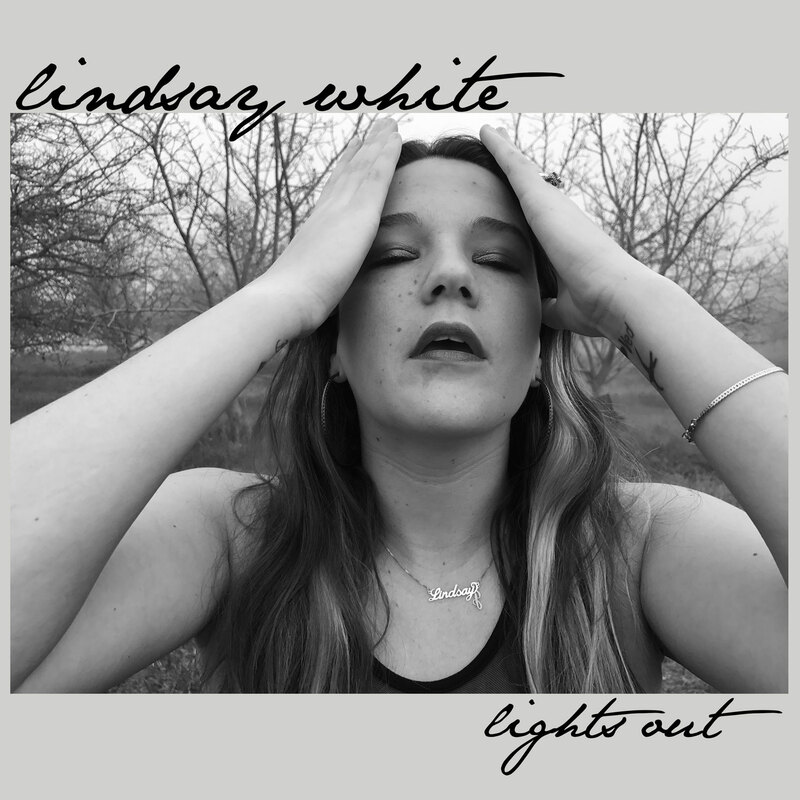 Enjoy Lindsay White’s heartwarming new music video, and stay tuned for her new album, Lights Out, set for release mid-July 2017! July 19th // Fresno, CA // Full Circle Brewing Co.
August 5th // Ashland, OR // Standing Stone Brewing Co.
August 6th // Ashland, OR // Standing Stone Brewing Co.